Every maker has a story. Be a part of ModernMetal's story by placing an order, leaving a review, and seeing your review appear here. 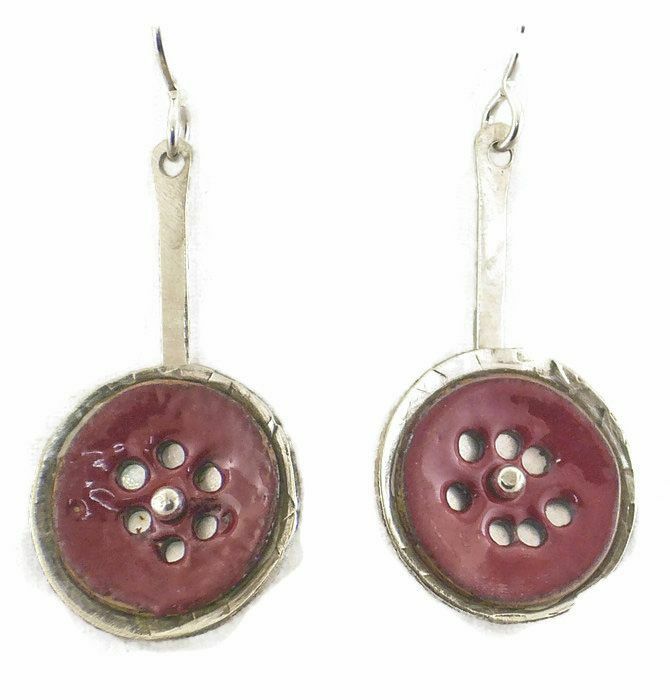 Pierced and riveted enameled discs riveted to sterling silver back. The disc is 3/4" diameter and they hand approximately 1-1/2" long. Sterling silver earwires. Shown in red, but available in other colors.